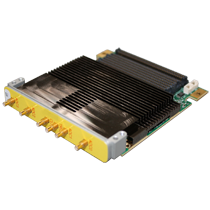 The Wild40™ family of EcoSystems, with plug-n-play COTS boards, have the densest FPGA processing and highest bandwidths available in the industry. 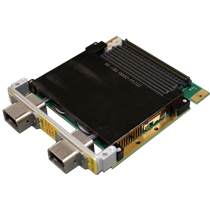 This allows Annapolis customers to input, process, move around and output much more data than ever before. These features turn the previously impossible into reality in Signal Processing, Software-Defined Radio, RADAR, SIGINT/ELINT, and Commercial applications. Annapolis Micro Systems employs a select team of experienced FPGA designers dedicated to helping you solve your real-world processing challenges while minimizing your Time to Market. Our patented Corefire Next™ Design Suite and Open Project Builder™ provide high-speed solutions that get the application developed in record time, drastically reducing program cost and risk. Annapolis prides itself on providing unequaled customer service and support with our training sessions and technical support to ensure that you achieve your technical and programmatic goals. Whether it is working with you to architect the ideal system using our standard COTS products, customizing our products to suit your particular needs, or providing post-sales expert customer support, we are with you every step of the way. We succeed when our customers succeed. 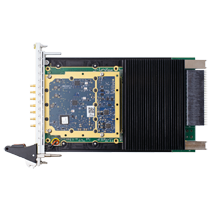 This high performance WILD FMC+ TO00 Serial I/O Optical squeezes six FireFly™ optical transceivers on a single Mezzanine. Each transceiver runs up to 28Gbps. Compatible with any WILDSTAR mainboard with a WILD FMC+ slot.